The cost of ammo seems to only increase and never fall. Those of us who shoot competition, hunt regularly, train for defensive situations or just enjoy shooting feel the hurt the most. Fortunately there are alternatives to keep cost down and shooting skills up. I’ve covered the advantages of dryfire training in the past, but here is how you take it to the next level. Previously I’ve covered Next Level Training’s Shot Indicating Resetting Trigger (SIRT) training pistol that projects a laser beam when you fire it. Since the success of the SIRT pistol NLT introduced the SIRT AR-Bolt. The laser bolt replaces your existing AR15’s bolt carrier group and with the help of a magnetic plunger that sits on your trigger group the bolt fires a green laser when you pull the AR trigger. 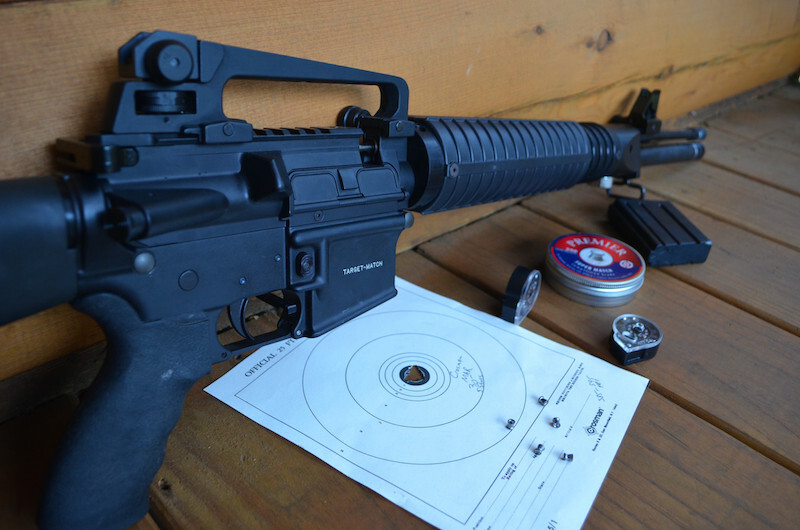 You can fine-tune the laser to the exact point of impact to match your optic and safely train away. This setup is perfect for perfecting your trigger control for multiple shots as well as developing muscle memory with your carbine and even point shooting. The laser gives instant feedback to where your shots would have hit. I find this perfect for high speed training that is useful in 3 Gun competitions as well as defensive scenarios. The only disadvantage to the SIRT bolt is that your trigger pull is modified in order to get the reset so you won’t have the exact trigger training. But in order to train with my beloved Geissele trigger I recently tested out the Crosman MAR177, which is a .177 caliber pre-charged pneumatic airgun upper for any standard AR15 lower. 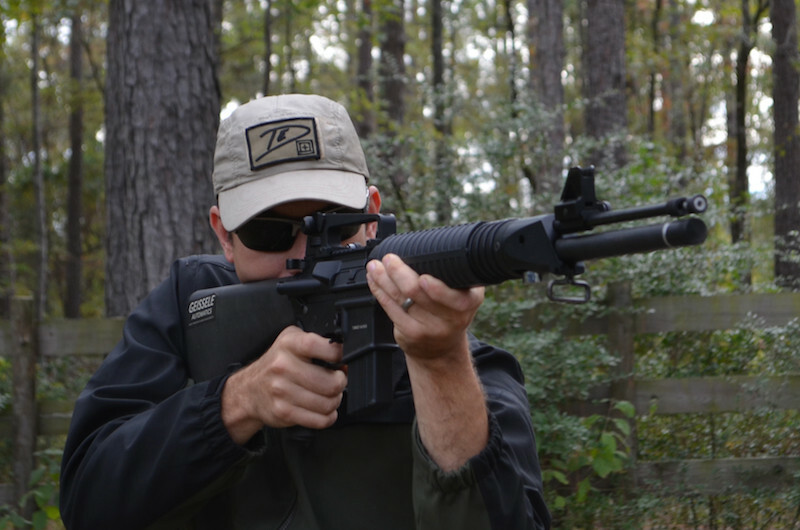 Designed for National Match competition shooters it is the size, weight and feel of a 20” AR15, but of course it shoots plentiful inexpensive .177 caliber pellets. To charge the onboard tank you can hook it up to a 3,000 PSI scuba tank or use a special handpump. Since I don’t have a tank I went the pump route and after about 100 pumps you’ll have almost 3,000 PSI stored up in the small tank and will be ready to fire at least 150 rounds. The rotary magazine holds 12 pellets and you load each shot by cycling the AR style charging handle. I was impressed with how incredibly quiet the pellet rifle was and also with the accuracy. The rifle claims a velocity of 600 FPS and my chronograph clocked it at an average of 595 FPS with a standard deviation of only 5; it was surprisingly consistent. At 10 yards with the included open sights I had no problem keeping a 0.25” group dead center. 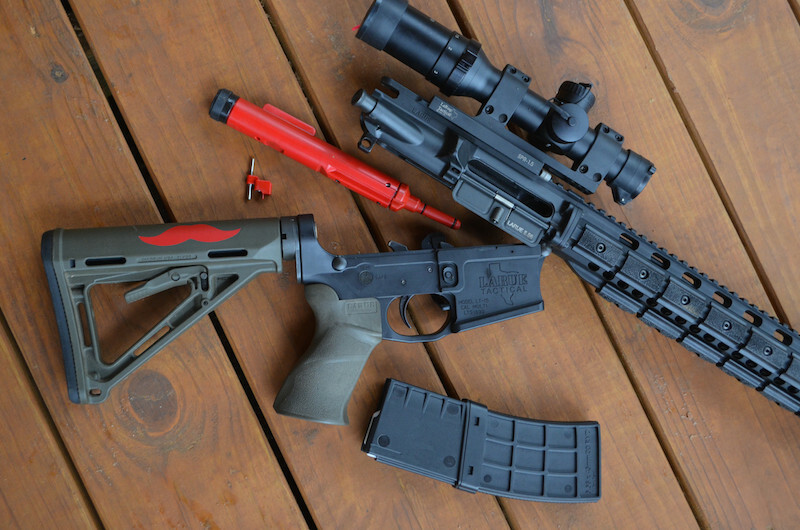 The MAR177 is a great setup for practicing your precision rifle shooting. It’s quiet enough to fire inside your house with the proper pellet trap setup. It gives an excellent platform for practicing from a variety of shooting positions and making single shots count. The advantages of this upper is you get to train with the exact same trigger since it uses your existing lower and you actually get ballistic feedback even if it is on a smaller, closer scale. It comes with a removable sights and picatinny rail so you could place an optic on it, but if you give it further thought we all could use more iron sight practice. The only disadvantage for the pellet rifle is that you much to charge it every time as if it were a single shot, but the cost savings, precision, and accuracy training greatly outweigh this one drawback.